Between entertaining and Netflix-binging, you undoubtedly spend a lot of time in your living room, and it is easily the most important room in your home when it comes to decor. A living room is often the first room we decorate and the first room we show new guests during a tour. A beautifully decorated living room both draws you in and compels you to stay. But because of the high stakes, making those big design choices can be a stressful proposition. 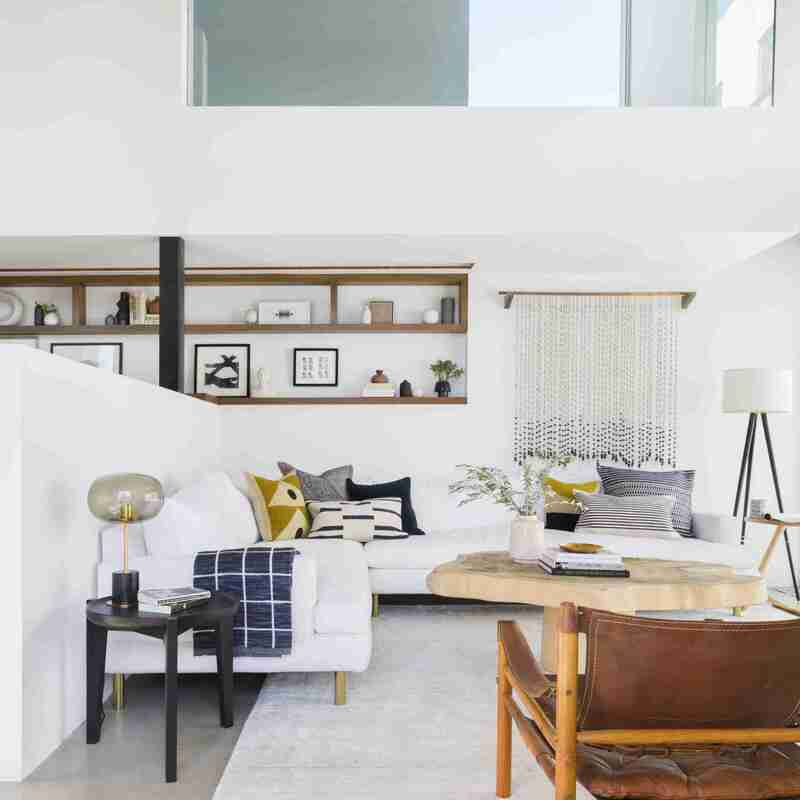 Though there are a few fairly obvious basics (a living room should have chairs, entertainment and provide comfort), several key steps can help you achieve a truly dreamy living space. Whether you're starting from scratch or you're ready for a living room makeover, these essential decor tips will guide you as you design and create a living room that's both beautiful and functional. Whether you're starting from scratch or updating a space you've lived in for years, it's important to take stock of what furniture you own and be brutally honest about whether it works for your space. Redecorating your living room is a great opportunity to figure out what's important to you. For example, if a gorgeous sectional like this one from Emily Henderson is a must-have, the key is to find a sectional that's a natural fit for the room (and yes, even small rooms can rock sectionals). If you've been holding onto a decades-old loveseat or a recliner that isn't working anymore, it's time to let go and start fresh. The right furniture, both in size and style, can make or break a living room. Your room's focal point is where people's eyes will fall when they first walk into your room. If you don't have a natural focal point like a large fireplace or mantle, create one with an oversized mirror, a piano or extra large artwork, as seen in this stunning room from Studio McGee. Once you've decided upon your focal point, decorate the room around it for a cohesive feel. Just be sure to pay attention to the vibe your focal point is giving off. If you have a beautiful fireplace, for example, a quick makeover can change the entire look of your living space and add a fresh, updated feel. Whether you're into monochromatic or you want to tie in a few complementary colors, your color scheme is a key feature to cultivating a seamless living room aesthetic. 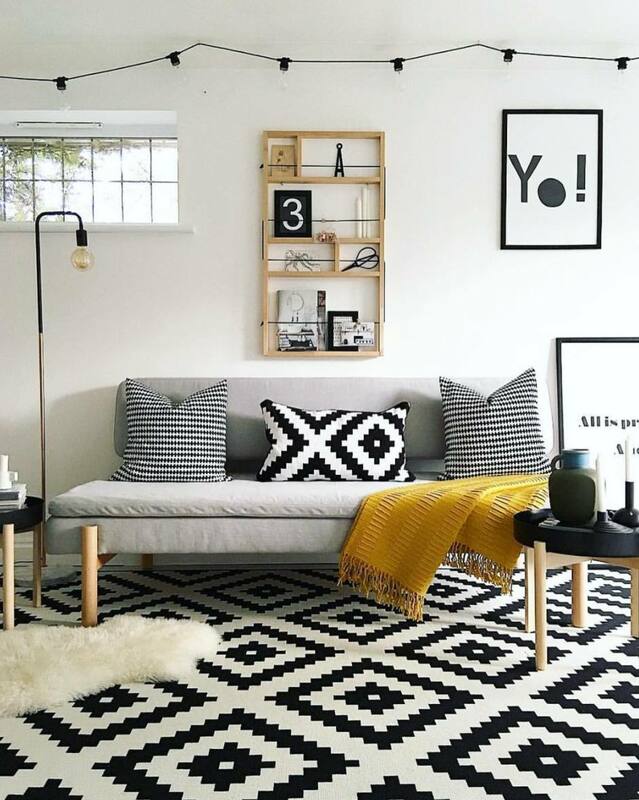 This eye-catching living room from by nest_twenty_eight starts with a base of white and black and adds a hint of mustard yellow and neutral birch to keep the look harmonious. Having a color palette in mind as you put together each piece of your living room is an easy way to keep your look clean and purposeful. This living room from My Scandinavian Home is equal parts beautiful and functional, which is essential to creating a gorgeous living room. It's okay to want a dazzling space, but you also have to live in it—and it is important to ensure your room works not only for your tastes but also for your lifestyle. If you need additional storage, look for attractive pieces that conceal your knickknacks while blending well with your other decor. Likewise, an ultra-stylish couch may catch the eye, but what good is it if it's not comfortable? The most important element of a wonderfully designed living room is that it's a place you'll actually want to hang out in. Getting your living room lighting just right can be a challenge, but it can also pull the whole look together. We suggest a combination of various sorts of lighting, as seen in this space from Decorholic, that includes overhead (though a living space with an abundance of natural light may not need this), accent and task lighting, which helps you read that latest thriller. Once you've decided what you need, you can then focus on finding light sources that blend with your decor scheme. It's easy to rush to a big box store to decorate your living room, and there's nothing wrong with that. But for the ultimate wow effect (and to avoid your living space mimicking a showroom) it's important to avoid buying every piece from the same store. This gorgeously modern room from Marion WD weaves in both personality and beauty. Each piece, especially throughout the gallery wall, feels specifically selected for the space. It may take a little extra time to curate each piece from different sources, but the end result will feel much more unique and purposeful.